Tips, tools, and resources for creatively teaching, organizing, cooking, and frugal living. If you are a personal friend of mine on Facebook, chances are you have seen a little about this recently. Over the past few months, my nine year old has really jumped into pestering me about creating her own website. It doesn't come as a total surprise since A) she sees me working on my sites, and B) for YEARS, she has had business idea after business idea. Journals and notebooks galore are filled with her ideas and thoughts. And for years, I have (mostly) shut down her ideas. Not because they weren't great, but because often her little nine year old brain didn't think through the logistics of her businesses and that left me feeling frustrated having to work through it all with her. I know, mom fail. We homeschool here at the Locke house, meaning the task of preparing my children for life and the real world falls on my shoulders much of the time. In our home, college is not the end goal. If they want to go to college, great! But if not, that's totally cool, too. I really feel that there are so many things my children could successfully do in life without an ounce of college. Ellie, without a doubt, will be a business owner. And a darn fine one, too, I'd bet. So, since we homeschool, wouldn't it only make sense that I feed her the education that she desires? That if her brain is constantly thinking of business ideas that I should filter her schooling through her interests? Yes, the answer is yes. I should do that. And so I did. A couple weeks ago I set Ellie up with a free Wix site, showed her a few of the basics, and she went to town. 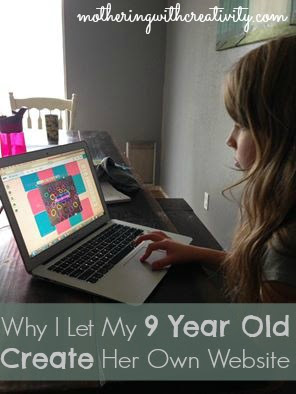 She was allowed a certain amount of time on the computer each day to work on her site, and she worked meticulously through the entire allotted time. And when she was "done", I posted a link to her site on my Facebook for her. And the orders rolled in (via her email account which I have control over). Ellie's first batch of orders. Ellie learned to work hard at fulfilling orders, and worked on her cleaning skills at the same time (her primary item of sales is homemade play dough = messy kitchen). For this particular business venture, I allowed her to use my supplies for a set rate of repayment. She then learned about and calculated her profits (she made over $50 in profit in her first week!). We discussed the importance of saving a portion of her earnings for her next business venture, as the "mom-fronting the supplies" stops at this current business experience. She quickly handed over some of her profits to her savings account, and now has some cash flow for her next ideas. *Website Skills- How to navigate and create a website on her own. *Math/Financial Literacy- How to calculate profits and expenses. *Financial Literacy- How to save money to provide cash flow for future business ventures. 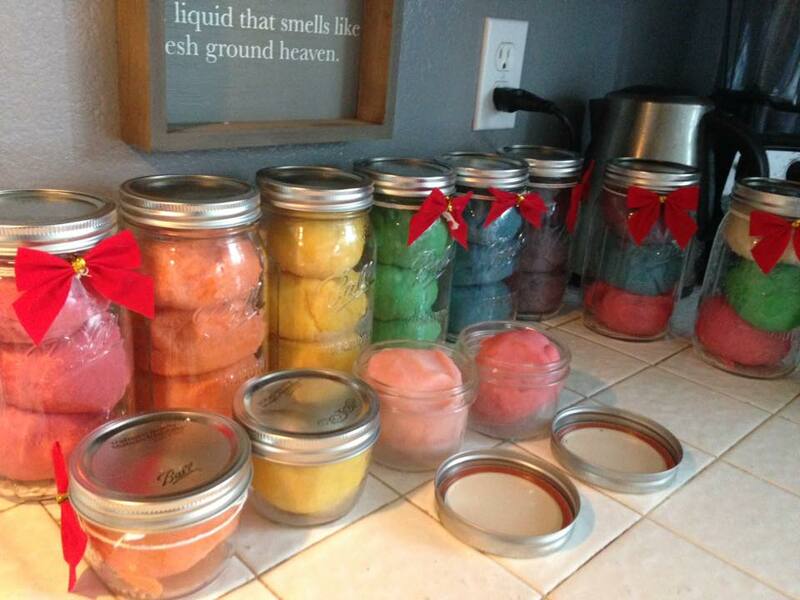 *Math Skills- Making play dough requires a specific recipe for it to turn out; doubling a batch = multiplication! *Cleaning skills- Each batch made = a fresh new mess to clean up in the kitchen. *Communication Skills- Professionally responding to emails and communicating kindly and clearly. *Spelling and Grammar- Websites need to be clear of spelling errors and read well. Emails require the same kind of thought. *Typing skills- Emails go reallllllly slow if you aren't typing with your fingers in the proper places on the keyboard. Emails give great typing practice. *Time Management- When you are nine years old and have school and sports, you have to learn to balance those things with the time you need to fulfill orders. I'm honestly sure there's more that I could add to that list. I love this type of learning, and I know my kids love it too. It's real life. It's not just books. It's fun. It's practical. I'm not sure what Ellie will be up to next, but I'm really trying to allow her entrepreneurial side shine through, even when it can be frustrating or difficult for me. But for now, it's a website that she's in love with and her first "real" business. Go Ellie! Welcome to Mothering with Creativity! My name is Jessica. 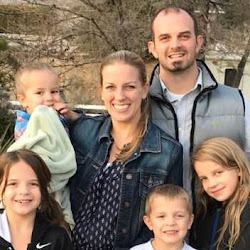 I'm a wife and homeschooling mom to 4 small humans, 6 chickens, and 3 dogs. I like all thing chocolate and peanut butter. I drink a lot of chai...all types. I love writing, mixed martial arts, teaching, and trying new things. I hope you find something to inspire you as you have a look around. I'm glad you're here! Buy My eBook for just $.99! Homeschool Questions: What Does an Average Day Look Like? Homeschool Questions: How Long is Your School Day? No part or content of this blog may be reproduced or copied without expressed permission from the author. Read my disclosure policy HERE. Copyright: motheringwithcreativity.com / Jessica Locke.. Simple theme. Theme images by andynwt. Powered by Blogger.